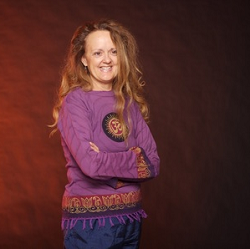 Priscilla Potter has been training yoga teachers for over 35 years. She is the founder and director of The Yoga Connection, a nonprofit service organization dedicated to service through Yoga. Her inspirational and intuitive teaching style is supported by more than 4 decades of training and over 40 years of teaching. She is a professional astrologer, and a longtime student and teacher of Kriya Yoga.